Last week Channel 4 aired an experiment conducted by the former government drug adviser Professor David Nutt. It should be of no surprise upon hearing his name that the nature of this experiment is controversial – David Nutt is the man who was relieved of his post for putting forward the scientific view that MDMA shouldn’t be a class A drug as it is less dangerous than alcohol. Indeed that same class A drug is the subject of the trial, in which several volunteers will take MDMA and undergo scientific analysis of its effects. Vital signs were monitored and MRI scans were conducted in order to find information on the parts of the brain associated with trust, empathy and memory. Professor Nutt has long held the view that more research needs to be done on the possible therapeutic applications of the drug, but as red tape and negative connotations swamp the issue, this seems to be the only way the Professor can get his research backed. When scientists try to learn from the world of prohibited substances. The televised drug trials have been criticized as glamorising the drug and thinly veiled sensationalism for ratings. Julia Manning, chief executive of the 2020 Health government think tank, has said the study is ‘pointless and reckless’. To me, this statement is incredibly ironic. Surely it is more pointless to create a law which can not be effectively enforced? The Class A ban on MDMA can not be effectively enforced, as is evidenced by the people who imbibe and sell it regularly in the UK and the rest of the world. Surely it is reckless to defer the regulation and dispensation of drugs to the criminal underworld where regulatory bodies can not reach, making the entire issue far more dangerous than it ever would be in a legal environment? However, it is Julia Manning’s opinion that MDMA is illegal because of the social, economic and moral messages it would send out. For Julia it seems ‘Drug are bad mmkay’, is as far as her mind has ever taken her, yet with some exploration it is not hard to see why a ban is actually more harmful in its social, economic and moral implications then the drug itself could ever be. Experimenting with drugs the old fashioned way. Many are probably thinking the experience would feel more glamorous in an MRI scanner. The social implications of a ban mean that people will turn to other more dangerous alternatives (e.g. alcohol or recently discovered designer drugs with legal status as was the case with mephedrone) believing them to be safer. For social implications, glamorisation is also often associated more with illegality then government endorsement, and if “class A” doesn’t instantly sound like something glamorous and rare then I don’t know what does. An “A” is often associated with quality after all, the best grade you can get. The economic implications are that millions in untaxed profit are going to the criminal underground, while billions in taxpayer money is pumped into the un-winnable and ultimately community-damaging war on drugs. Morally, the implications are that the government has the right to say how we experience reality, it is tantamount to mind control and an invasion into the private life of the individual. The moral stance of this government takes is that certain states of mind are simply not acceptable (but alcohol, tobacco and coffee are just fine). Way to take the moral high ground! Do as we say, die or go to prison. The moral high ground, we’re doing it wrong. So why is a scientist like Professor Nutt having to resort to funding from a TV channel rather than he Medical Research Council or some other ‘respectable’ body? Because Pharmaceuticals are big business, and investors take huge risks with their money to get research done and trials conducted. It is not financially viable for them to conduct research into a drug that is illegal because even if it works the drug must then be approved. Pure MDMA is not going to win approval while it is a Class A drug. If it was somehow ‘sanitized’ and turned into a derivative with a fancy new name to re-brand it, it might be successful. In fact there is research being done into possible applications of MDMA to fight cancer. This is using the drug for its biological functions rather than its mind altering capabilities and so is deemed acceptable area of research, much like using the cannabis derivatives in commercial drugs to help relieve vomiting in chemo patients or spasticity in MS sufferers. The compounds derived can be patented and sold exclusively by the Pharmacies for huge profit with knowledge that street chemists won’t be able to or even want to replicate and sell their unique formulas and so their profit margins are protected. However this is something that can not be guaranteed with drugs that are already out there in chemistry books or that can grow in your own garden (such as cannabis or psylocibin). It’s hard to make big pharmacy scale profit from products that can be grown or made at home. The secret that pharmacological companies don’t want you to know however is that THEY are the ones being ‘reckless and pointless’ in their conduct of drug trials. Modern medicine is placing profit over patients, and they have the gall to tell Professor Nutt that he is the one behaving badly. If more drug trials were conducted out in the open like this one, rather then behind the closed doors of the people putting them on the market, we wouldn’t have to worry about all the unpublished studies which are buried by researchers desperate to prove that they have a drug that works. Studies that do get funding get it because big monetary returns are expected. 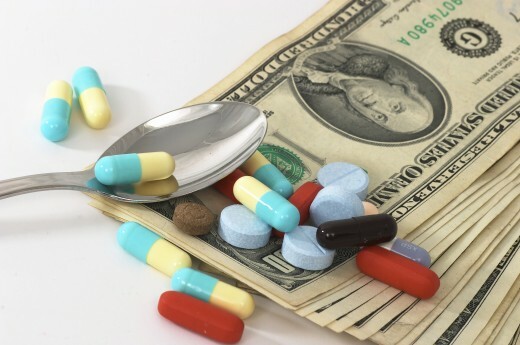 Such vast amounts of money are invested that ensuring the drug goes to market becomes more of a priority than ensuring the drug actually works. Common practice is that when one study doesn’t give desired results then more are done until the right result is shown and any negative results go unpublished. Not a hard task to pull off when the science is done in secrecy and the journals are owned by the pharmaceutical companies! The point of conducting scientific experiments is that they should be able to be replicated with the same results by more than one group of scientists, yet this key stage of evidence based science is by-passed by modern medicine by Pharmaceutical companies. Instead they answer only to regulators who they submit one or two studies that show a drug works and leave out the ten or twelve others that showed the drug had no or even ill effect. The result is a marketplace of very expensive drugs which may or may not work. Is this how we want our drug policy to work? You are paying for a placebo effect half the time. So though television may not be the ideal way in which to explore the neuroscience behind MDMA, there is little other alternative. David Nutt is not doing his research to line people’s pockets, but to help educate the public on the truth and to help turn public policy towards the path of harm reduction rather than criminalisation. He is to be commended in his efforts rather than dismissed as a publicity seeker. Give me open-book ‘publicity seeking neuroscience’, as Julia Manning puts it, rather then cloak-and-dagger, profiteering neuroscience, any day. This entry was posted in Politics and tagged Channel 4, drug trial, ISCD, MDMA, pharmaceuticals, professor nutt by liz.cabeza. Bookmark the permalink. The real ‘drug use’ science can only be done in a post prohibition world where the epidemiology can be researched with integrity, confidence and engagement with drug users. If drug use is a health and social issue then it follows as it does with disability law (certainly such laws exist in countries like New Zealand) that no decisions about us should be made without us. To that end I invite comment on the following UN compliant USE of Drugs amendment to the prevailing legal ‘sanctions and criminal code’ structure created to facilitate public research and enable credible (anti) drug education without the double standards so evident in many jurisdictions.